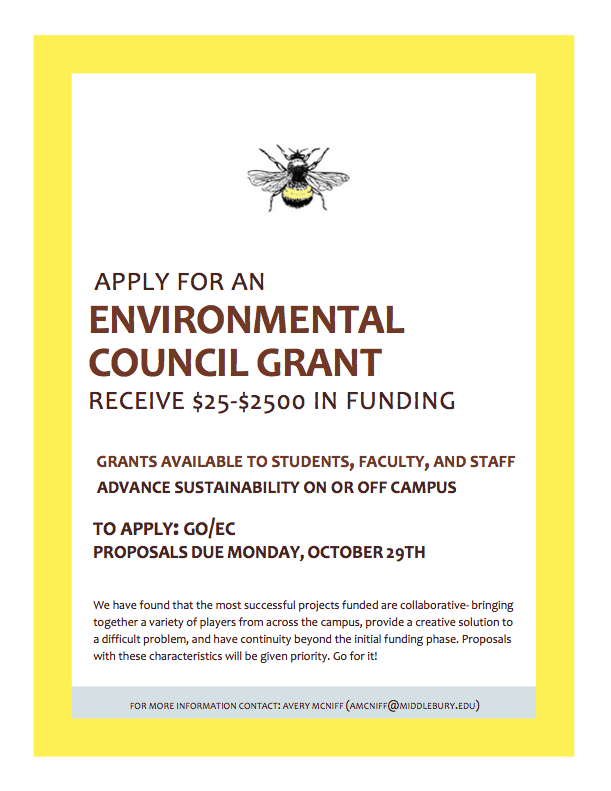 Apply for an Environmental Council Grant! Have an idea for a project related to sustainability? Receive $25-$2,500 in funding to support initiatives on or off campus. 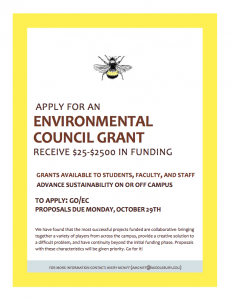 Grants available to faculty, staff, and students. Contact Avery McNiff (amcniff@middlebury.edu) with questions.